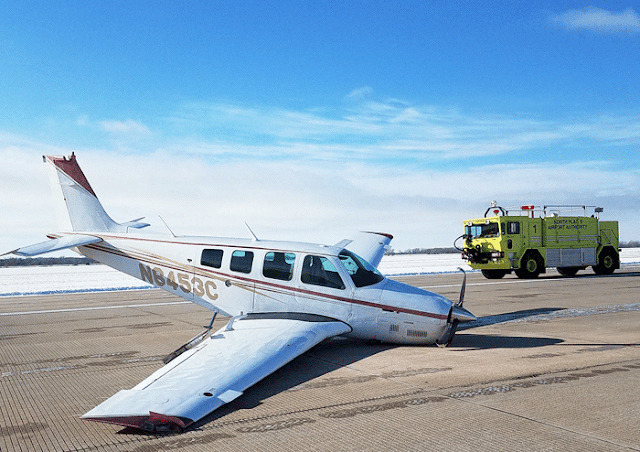 Aircraft nose gear collapsed during landing. 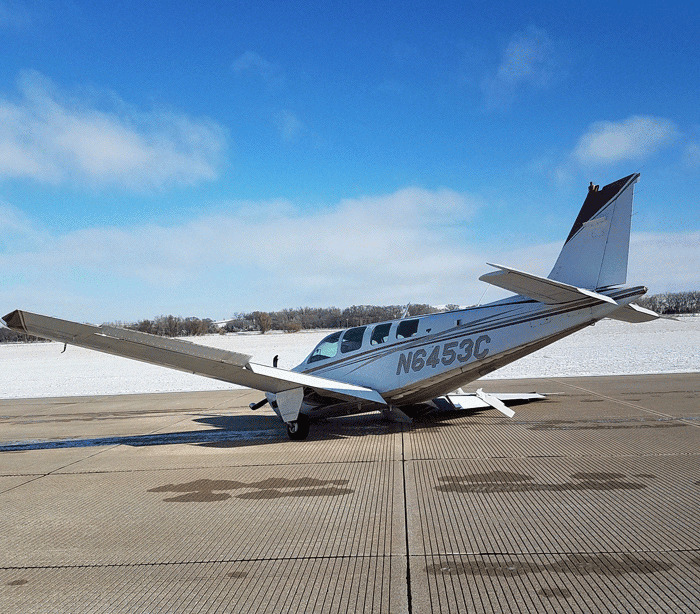 Part of the landing gear of a single-engine airplane collapsed Monday morning after a plane landed at the North Platte Regional Airport, bringing the plane to a sudden stop on the side of the runway. The pilot was arriving from Tulsa to provide an “Angel Flight” — to pick up someone who needs medical attention, Airport Manager Sam Seafeldt said. Angel Flights provide free air transportation for legitimate, charitable, medically related needs. Operations Supervisor Justin Gosnell was the first to respond, driving the airport’s firefighting unit. Gosnell alerted the North Platte fire and rescue department as he drove to the crash site, but was able to tell them not to come after finding the pilot was okay and there was no fire. The right-side landing gear collapsed as the plane was slowing on the runway. The nose gear also collapsed. The runway was clean. Ice was not immediately suspected to be a contributing factor, Gosnell said. The accident happened shortly after 10 a.m.
NORTH PLATTE, Neb. – Emergency crews responded to the North Platte Regional Airport on Monday morning after a Beechcraft Bonanza B36TC suffered a collapsed landing gear while arriving at the airport. The call came in around 10 a.m. The pilot walked away unharmed. The plane was lifted by a crane, put on a flatbed and towed to the onsite mechanic shop for further inspection. Retracted the gear instead of the flaps??? I've seen enough Angel Flights here to decide that I would not want to use them. No way to feel confident in the pilot's qualifications or the aircraft's maintenance history. Sorry folks, I know Angel Flight has helped many, but their reputation is getting harmed by this kind of accident.